The Book of Ruth paints a wonderful picture of the concept of a kinsman-Redeemer through the story of Boaz, Naomi and Ruth. The narrative takes place during the time of the Judges. The often told story starts in the Judean town of Ephratah, the old name of Bethlehem. Naomi was a married to Elimelech, both were Hebrews. They had two sons, Mahlon and Chilion. As a result of a severe famine Emelech moved his family eastward across the Dead Sea to The Kingdom of Moab. The Moabites were descendants of Lot and thus non-Hebrews. When Elimelech died his two sons married Moabite women, Orpah and Ruth. After ten years both of Naomi’s sons died leaving her without her husband and her two sons. With no means of support Naomi determined that she would return to her homeland and petitioned her two daughter-in-laws to return to their Moabite mothers. Orpah decided to stay behind. But Ruth would not leave Naomi and faithfully accompanied her mother-in-law back to Bethlehem. 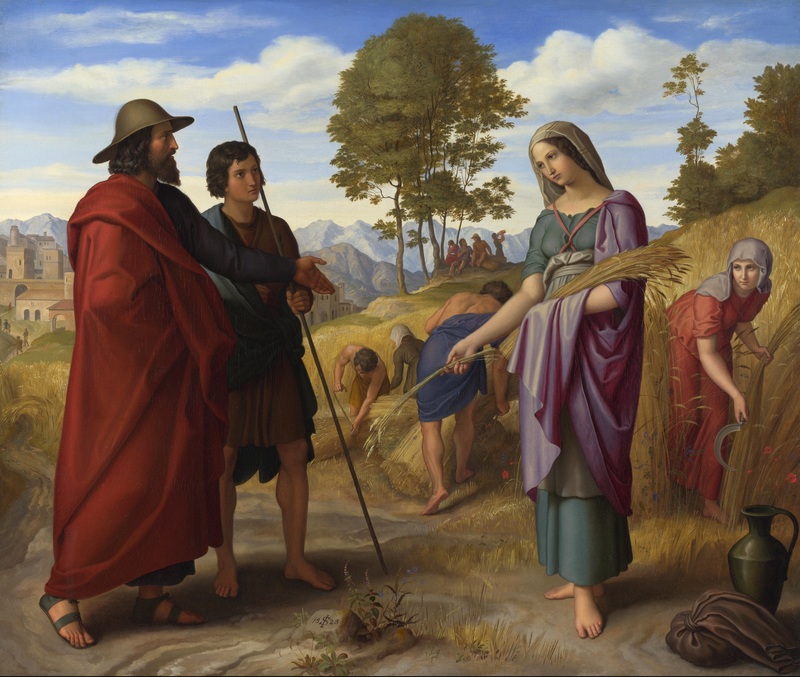 Julius Schnorr von Carolsfeld: Ruth in Boaz’s Field, 1828. The Book of Ruth tells the story of Ruth and her mother-in-law Naomi. After her husband’s death they both move to Naomi’s native land where she gets redeemed from poverty and widowhood through Ruth by her goel, Boaz. Ruth and Naomi arrived in Bethlehem at the beginning of the abundant barley harvest, poor and unable to provide for themselves. Out of necessity Ruth goes to the field to glean barley for she and Naomi. While there Ruth meets Naomi’s relative, Boaz, a “worthy man of the clan of Elimelech” (Ruth 2:1) who owns a portion of the field. Boaz out of compassion and obedience to the law allows Ruth to glean his portion of the field but also purposely leaves extra grain for her. Naomi encourages Ruth to seek marriage with Boaz as a kinsman-redeemer. Ruth obeys Naomi and asks Boaz for her rights. Boaz agrees to marry Ruth but mentions that he must first be sure there are no others with first rights to purchase the property. After settling the first rights issue with another relative Boaz “redeemed” Naomi by paying the required ransom price. Ruth 4:9-10 ESV records “all that belonged to Elimelech and all that belonged to Chilion and to Mahlon …“ including “Ruth the Moabite, the widow of Mahlon, I have bought to be my wife .” Boaz married Ruth and they had a son. The neighborhood women said to Naomi ” … Blessed be the Lord, who has not left you this day without a redeemer, and may his name be renowned in Israel! 15 He shall be to you a restorer of life and a nourisher of your old age, for your daughter-in-law who loves you, who is more to you than seven sons, has given birth to him.” 16 Then Naomi took the child and laid him on her lap and became his nurse. 17 And the women of the neighborhood gave him a name, saying, “A son has been born to Naomi.” They named him Obed. He was the father of Jesse, the father of David (Ruth 4:14-17).” Ruth and Naomi were thus redeemed from poverty and widowhood by their “Goel,” Boaz. An interesting sidelight is that Jesus Christ would ultimately be born as The Son of Man through the geneaology of Obed (see Matthew 1:1-17). While the title of Redeemer (Goel) is not specifically mentioned of Jesus in the New Testament, it is clear that Jesus is indeed the promised kinsman-Redeemer and ransom for ALL of man’s sins. Paul writes in 1 Corinthians 1:30 (ESV) – 30 And because of Him you are in Christ Jesus, who became to us wisdom from God, righteousness and sanctification and redemption.” In his letter to the church at Galatia Paul also writes: “4 But when the fullness of time had come, God sent forth his Son, born of woman, born under the law, 5 to redeem those who were under the law, so that we might receive adoption as sons. 6 And because you are sons, God has sent the Spirit of His Son into our hearts, crying, “Abba! Father!” 7 So you are no longer a slave, but a son, and if a son, then an heir through God (Galatians 4:4-7 (ESV) – see also Galatians 3:13-14). The price, the ransom, or payment made for the redemption of man is recorded in Matthew 20:28 and Mark 10:45: Jesus as The Son of God, The Son of Man , The Redeemer … “did not come to be served, but to serve, and to give His life a ransom for many” (see these additional Scriptures). The debt is not merely cancelled, but fully paid “with a price.” This price, the ransom, is Jesus Christ. We are redeemed through the ransom paid by the shedding of Jesus’ blood and His death for the punishment for our sins. His glorious resurrection secures our place in Heaven eternally with Him. For additional study of the Scriptures relating to Jesus Christ as The Redeemer click on this link. Holy God, thank you for sending your only son, Jesus Christ, as my Redeemer. Father, without Jesus I would be lost and undone … a sinner without hope bound for an eternity in Hell. But Jesus paid the price … the ransom that I could never pay … for my sins through the shedding of His blood and death on the cross. 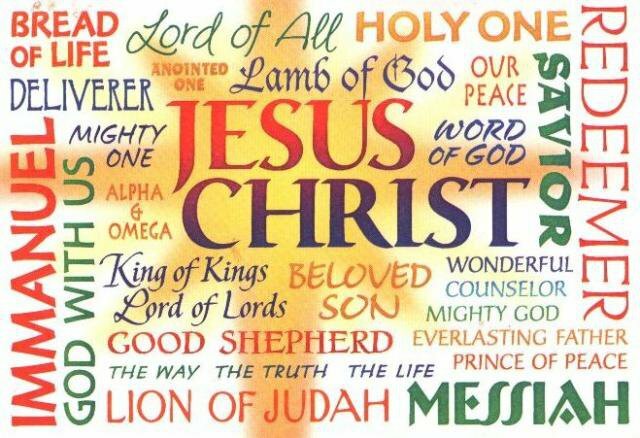 Praise the name of Jesus, my Redeemer! Amen and Amen. 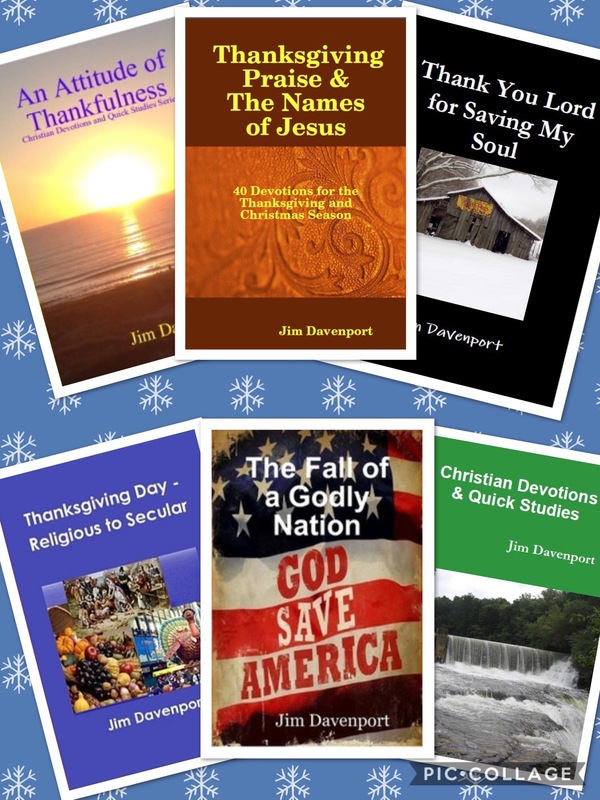 Gallery | This entry was posted in Bible Studies, Christian Devotions, Uncategorized and tagged Bible, bible studies, Boaz, Chilion, Christ, christian devotions, Christian living, devotions, divine purpose, Elimelech, Ephratah, eternal life, faithfulness, Father, Galatians 3:13-14, Galatians 4:4-7, geneaology of Jesus, God, Goel, Isaiah 59:20, Isaiah 9:6, Jesus, kinsman redeemer, Lord, Mahlon, Messiah, Moabites, names of God, names of Jesus, Naomi, Obed, Orpah, ransom, Redeemer, Religion and Spirituality, Ruth, Ruth 2:1, Ruth 4:14-17, Ruth 4:9-10, salvation, Savior, Son of God, The Book of Ruth. Bookmark the permalink. Redeemed by the blood of the Lamb! Redeemed through His infinite mercy! A promise we can count on Bernie! !